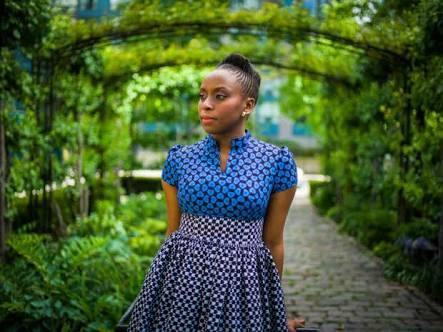 Chimamanda. I think it was the name I fell in love with at first, I had never heard that name. 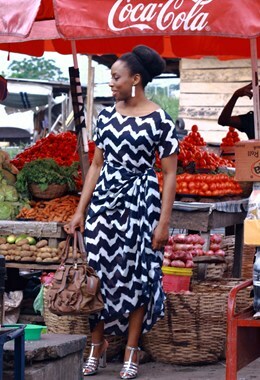 My secondary school was in the heart of Umuahia, with over 300 Igbo students and no one had the name – CHIMAMANDA. But we sure had an abundance of the regular Igbo names : CHIDINMA, CHIOMA, CHIAMAKA etc. 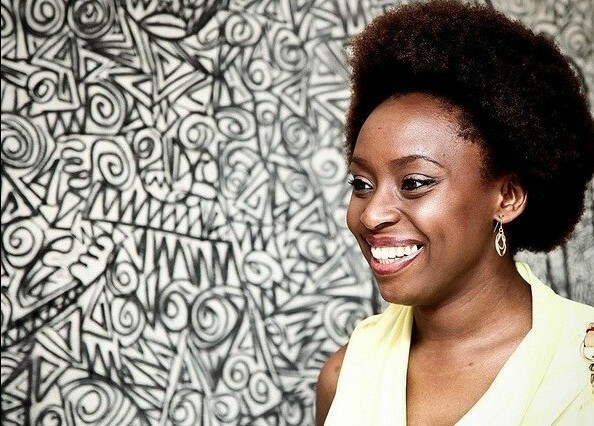 I remember conversing with my younger brother few weeks back, I went on and on talking about CHIMAMANDA. 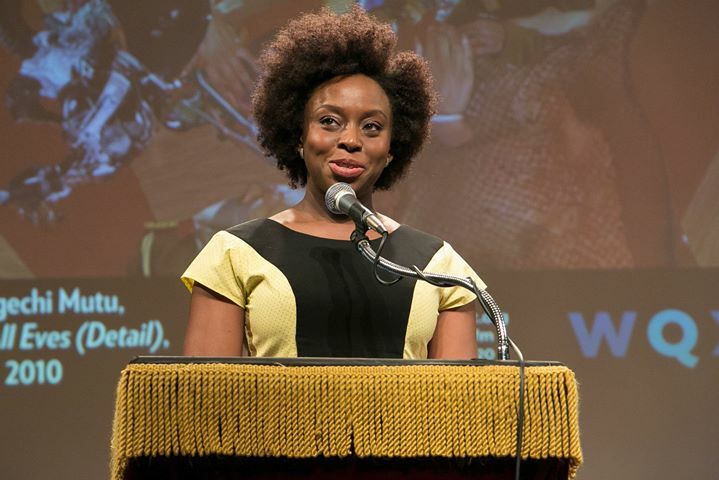 You see, I had just CUT my HAIR that day and everyone at home said : CHIMAMANDA SURE HAS A STRONG INFLUENCE ON YOU. 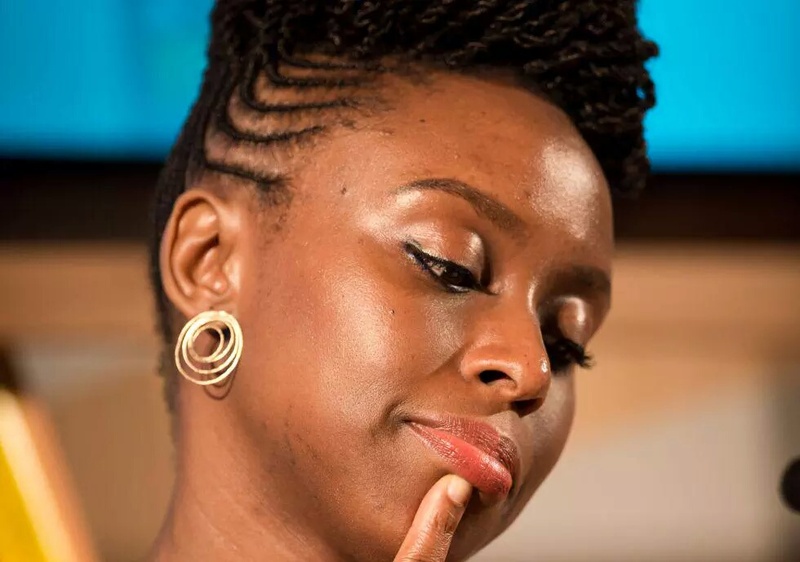 And when Chimamanda is mentioned in my house, that discussion that brought her up must continue until I’m tired. And so, I was talking to my younger brother about Natural hair and all that, of course he didn’t understand it much and wanted me to stop the conversation. He found a way. 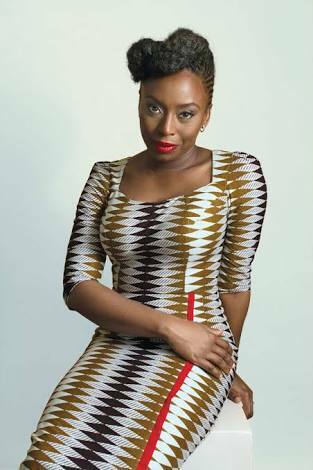 He said: I MAY NOT BE A BIG FAN OF CHIMAMANDA, BUT I WANT TO YIELD THE KIND OF INFLUENCE SHE HAS BEEN ABLE TO YIELD IN THIS WORLD. Arrogant is not a word that scares me. Arrogant is not a word that will ever silence me. I have heard it many times. In general, I think it’s a waste of precious life to pretend. I don’t talk behind people. I say what I want to say in front of people. I don’t have patience for people who don’t wish other people well. I dislike falseness. If we don’t care about each other, why bother fake-smiling with each other? When you are about to die, are you going to be thinking about how many frenemies you accumulated throughout your life or are you going to be thinking of how…. But I do feel strongly about the way the global idea of female beauty is so narrow. ‘Fat’ should never be used as a pejorative. Women should not be made to feel that they have to over-focus on their weight. If anything, both men and women should focus on being healthy, so that the question should be: whether you are fat or thin, can you comfortably run up a flight of stairs? I know slim people who cannot and overweight people who can. Our society gives women who like to wear their hair in a short Afro or cornrows with no attachments or in twists, but they can’t because there are social consequences. Their boss at work will say they don’t look professional. Or their mother will say they look “rough.” Or somebody will say that men won’t find them attractive. All over the world, girls are raised to be make themselves likeable, to twist themselves into shapes that suit other people. Please do not twist yourself into shapes to please. Don’t do it. If someone likes that version of you, that version of you that is false and holds back, then they actually just like that twisted shape, and not you. And the world is such a gloriously multifaceted, diverse place that there are people in the world who will like you, the real you, as you are. Now girls are often raised to see love only as giving. Women are praised for their love when that love is an act of giving. But to love is to give AND to take. Please love by giving and by taking. Give and be given. If you are only giving and not taking, you’ll know. You’ll know from that small and true voice inside you that we females are so often socialized to silence. Don’t silence that voice. Dare to take. I could go on and on, but I’ll stop here… I don’t know if I’m ever going to give my first daughter that name. But I know I’m going to raise my daughters to see the world differently. I’m going to teach them this : TO WRITE IS TO REJECT SILENCE. 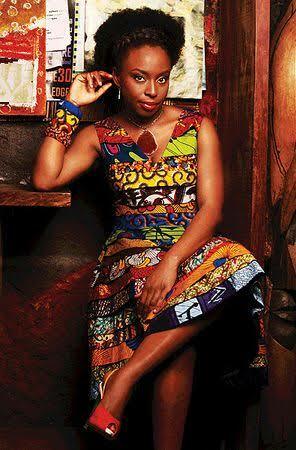 With all the love in my heart, I wish this Queen Of contemporary African Literature, A very big and special happy birthday! I can’t wait to read the next book. I can’t wait to see the next feminist. What will she call her? Chimdinma?! 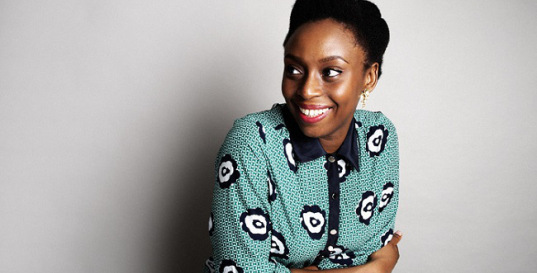 I did this article on MY LOVE FOR ADICHIE. You may want to read it. You truly love this woman. Now I want the Farafina spot for you more than ever. I feel like you finally meeting her will unlock some good literary strides from you. I admire your admiration, Adriel. You rest your head on noble shoulders, and so you will see far.